Batman- The 1989 Film: Alert! Alert! Alert! Special 1 Day Only Sale! 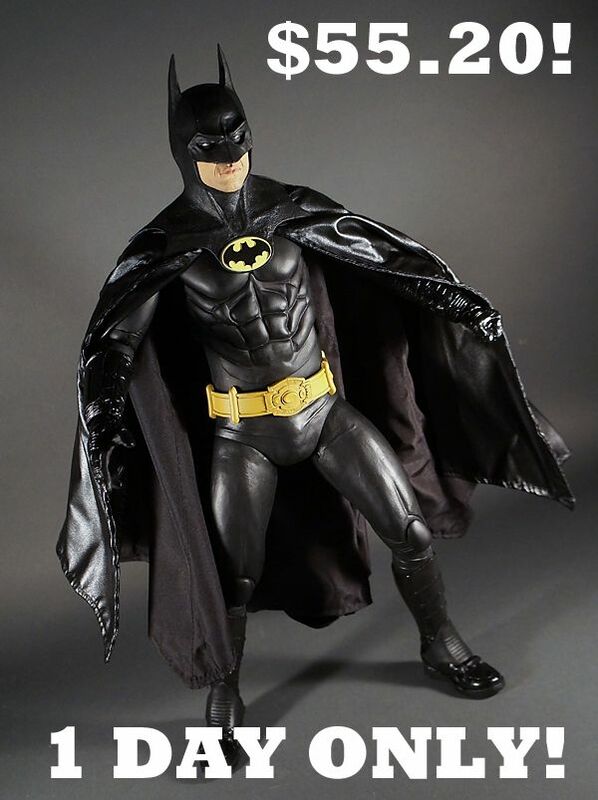 NECA 18" Keaton Batman! Special 1 Day Only Sale! Hey all! Entertainment Earth is having a 1-Day ONLY sale on the NECA 18" Michael Keaton Batman figure (reviewed HERE). This sale is only good for 24 hours on January 26th, 2014... So hurry! Head here and get yours now- Batman 1989 Movie Michael Keaton 1:4 Scale Action Figure at Entertainment Earth! Awwww maaan I spent like $108 total for mine buying from NECA on Amazon.